All dates and events are historically accurate. The participants... maybe not. When he's not blending historical fiction and fantasy, Brett, also known as BMW, is a husband, father, runner, and historian. 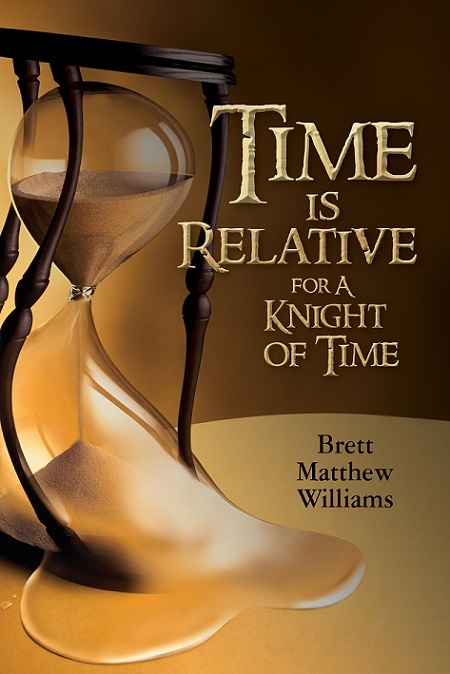 The Time is Relative series chronicles the origin story of the mythical figure Father Time, beginning with the award winning first novel, Time is Relative for a Knight of Time. We follow the young Rolland Wright as he discovers his ability to manipulate time and meets the protectors of the Time Steam, the Knights of Time. After traveling to a place they call Eden (by way of public library) he trains to join them in their quest to save humanity. This fantasy fiction series dives into many historical periods including the Seminole Wars, Haitian Revolution, and Roanoke, and includes a slew of prominent historical figures - Joan of Arc, Andrew Jackson, Jesse James, Amelia Earhart- in an action-packed coming of age story you aren't soon to forget. Prefer AudioBooks? BMW Does Too. Meet Rolland Wright - a seventeen year old orphan living out of his car in rural Woodland Hills, California. Aside from grappling with the fact of being abandoned by his drunken father two years previous following his mothers mysterious murder, his life mostly revolves around finding a warm place to sleep at night. When one day he is attacked by men claiming to have killed his father, Rolland discovers a strange ability to slow the flow of time around him, beginning a journey that takes him to places outside of time, space, and eventually to the early 19th century to fight the sinister General Andrew Jackson. With the help of a rag-tag group of historical and mythical figures with various supernatural abilities of their own (Joan of Arc, Jesse James, etc) known as the Knights of Time, Rolland solves the mystery behind his mother's murder, falls in love, battles the evil Edward Vilthe - reaper of souls, and finds a home of his own in the paradise known as Eden.